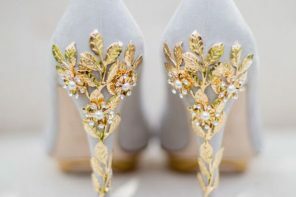 The idea of “splurging” on your wedding day look is typically applied to your dream dress — but with so many gorgeous heels and flats out there, it’s hard to resist shelling out big for wedding shoes that’ll truly complete your ensemble. 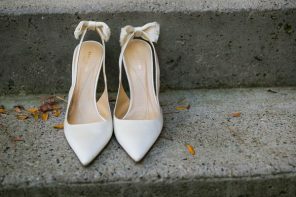 While pairs from Manolo Blahnik or Christian Louboutin certainly aren’t budget-friendly, it’s not like you can’t wear them after the big day! Whether you’re looking to actually spend a sizeable chunk or change or just browsing for fun (a girl can dream, right? 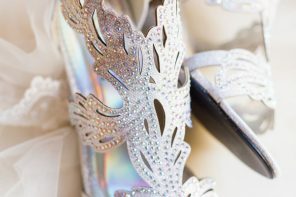 ), check out our list of to-die-for wedding shoes. Alexandre Birman’s signature bows adorn these iconic Clarita heels that are practically begging to be paired with a wedding dress. Metallic gold never looked so good. 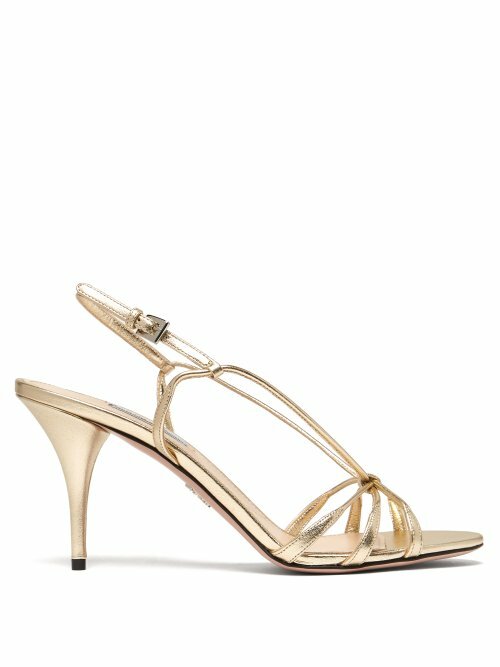 This pair of Prada barely-there sandals are knotted in the front with a slingback strap, ensuring they’ll stay on all night long. 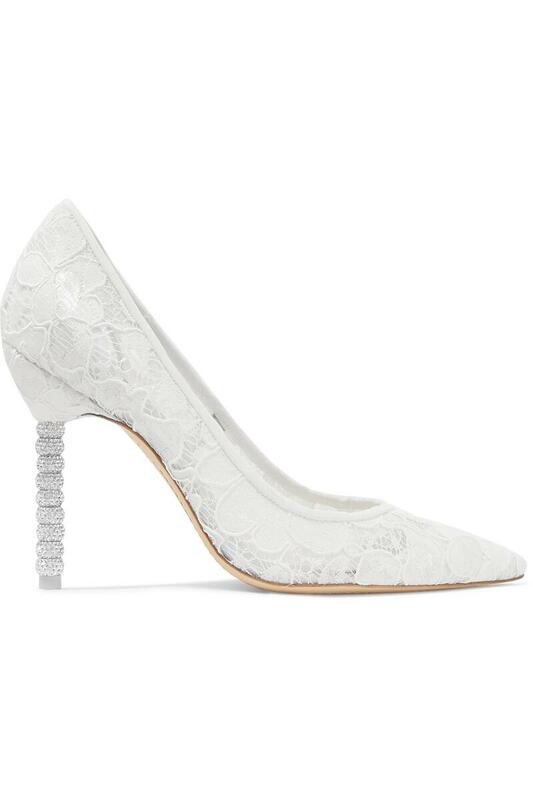 Face it: you’ve never seen a pair of heels quite like these wedding shoes from Sohpia Webster. The twinkling crystals are sure to catch your photographer’s cameras. 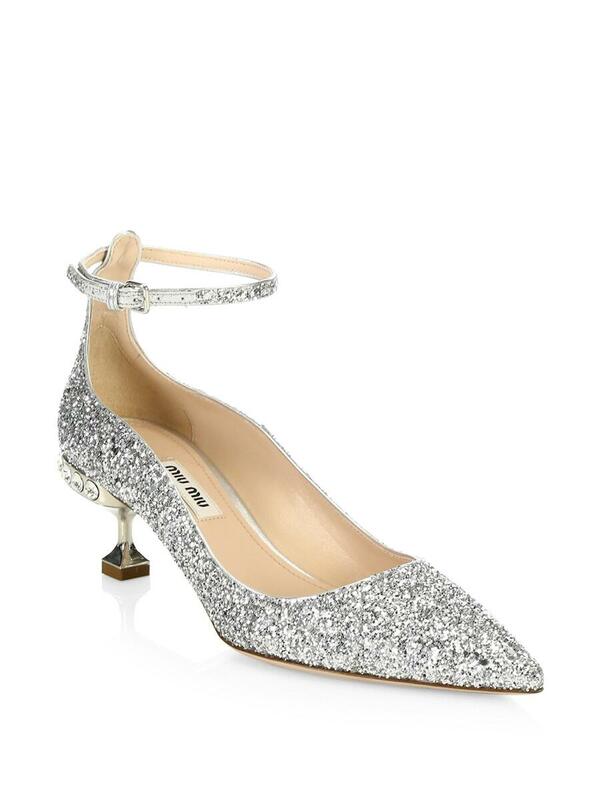 Manolo Blahnik speaks for itself, but these shimmery pumps are extra special (just like your big day!). 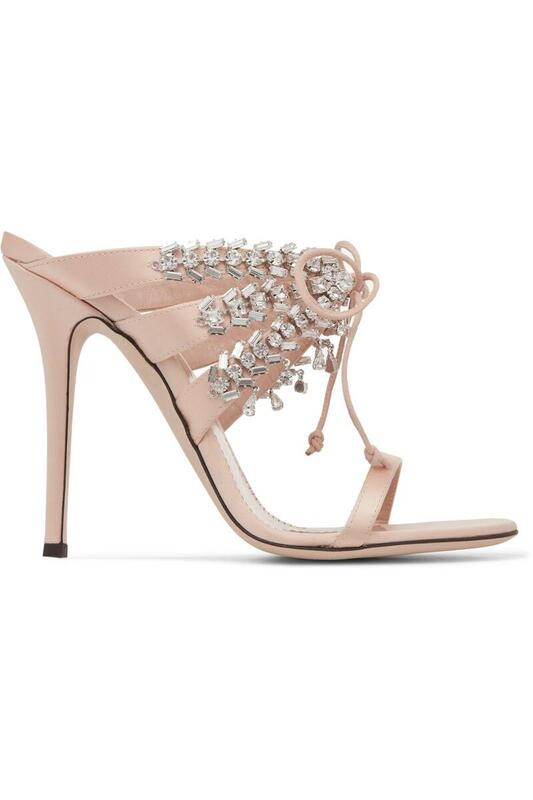 These blush-hued Giuseppe Zanotti Madelyn mules boast caged satin straps and baguette, round, and dangling teardrop-cut crystals. The unique heel on these already-beautiful ankle-strap pumps will put a fun twist on your whole look. Make a statement with these navy blue satin pumps, which are enhanced with a flower-crystal buckle. 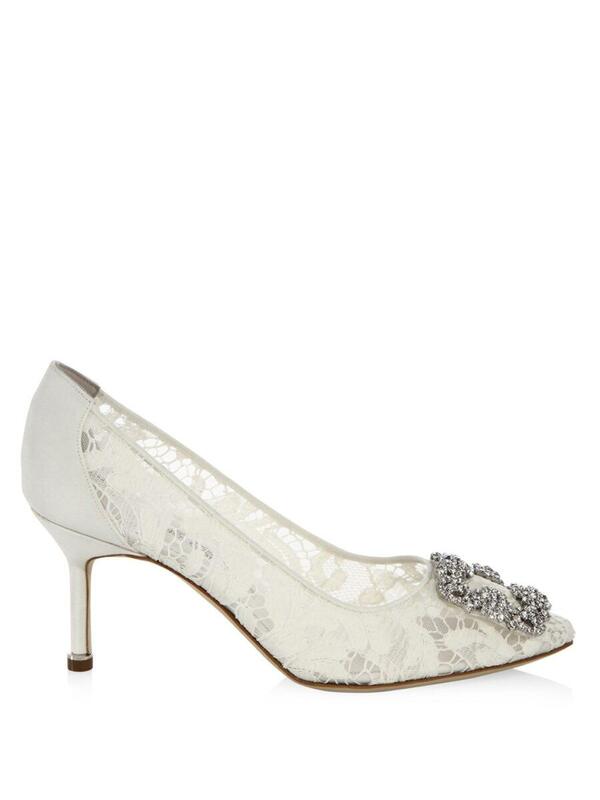 These slingback pumps will add the perfect amount of romance to your wedding day attire. 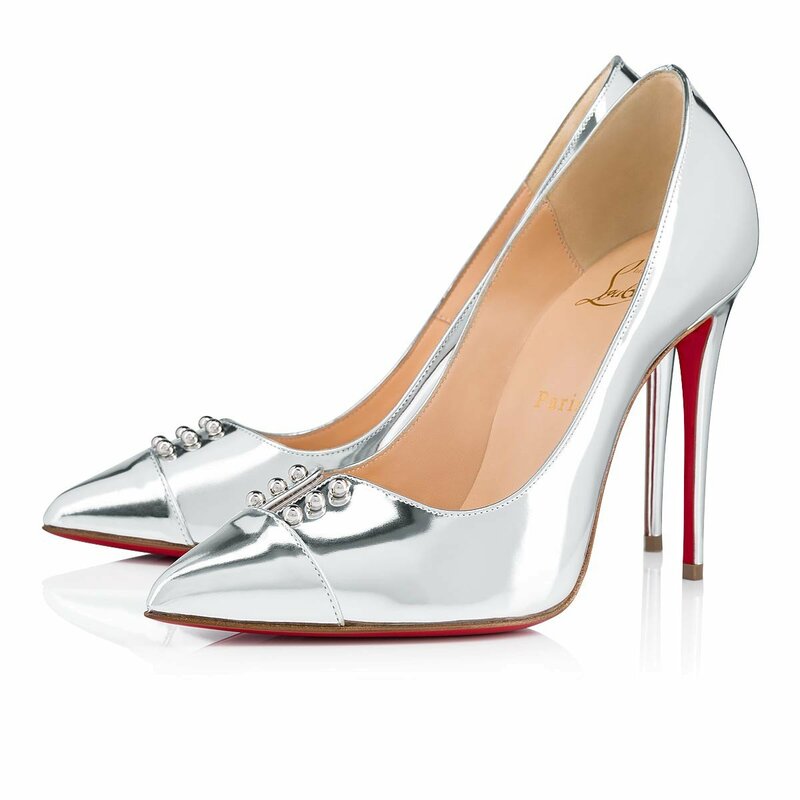 Pair your dream dress with these dream shoes. 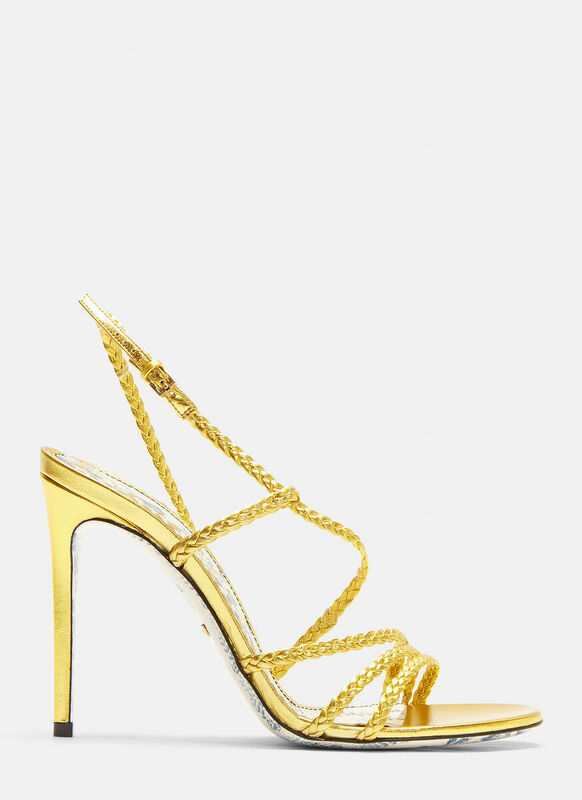 Gucci’s Haines sandals are crafted from gold leather, with slim braided straps to flatter any foot. 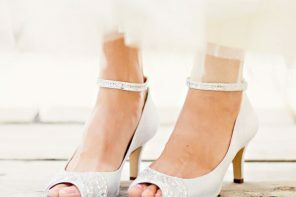 If there’s any ideal time to wear sheer lace, it’s on your wedding day with THESE wedding shoes. 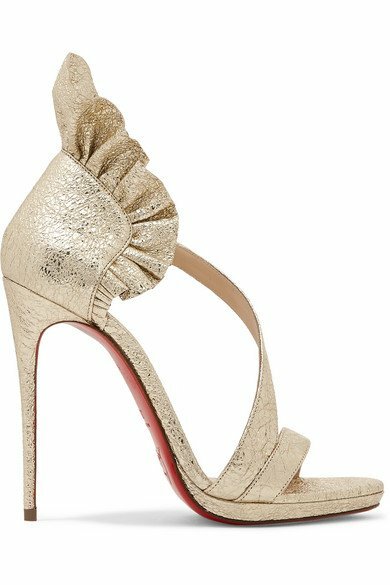 If Christian Louboutin’s iconic red lacquered soles aren’t enough to convince you to wear these as wedding shoes, look no further than the ruffles atop the shimmering gold cracked-leather. Nobody — let alone any cameras — will be able to ignore these striking slip-on pumps courtesy of Jimmy Choo. Crystals, crystals, and more crystals! 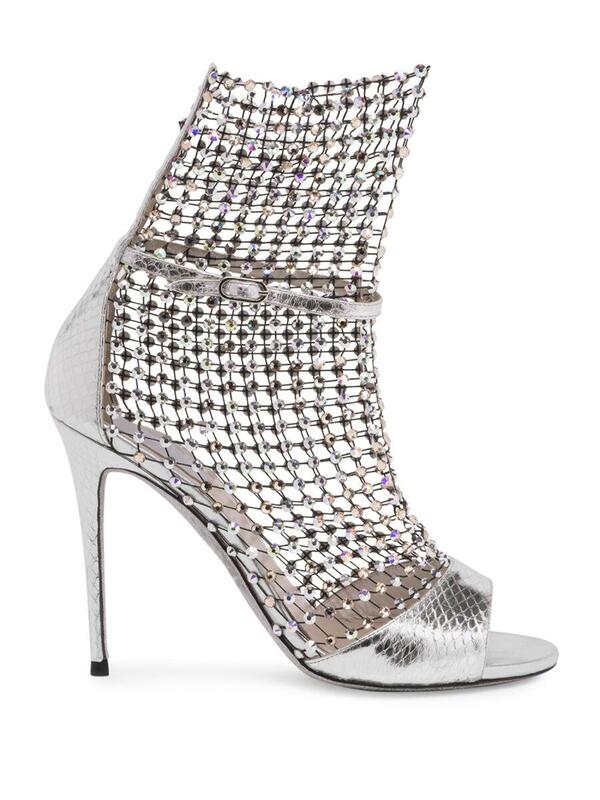 The contemporary mesh on these ankle boots offers a striking contrast to the crystal embellishments. 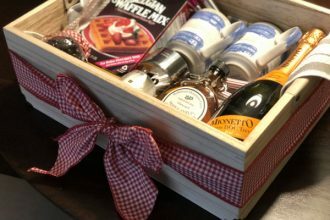 They’ll be sure to add some shine! 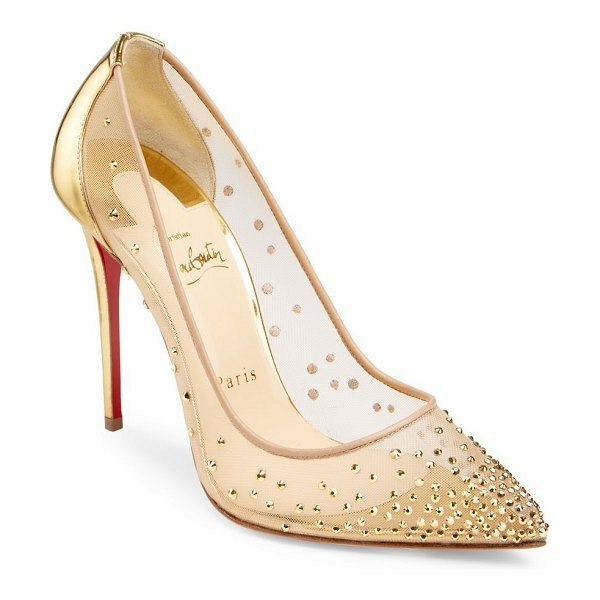 These Christian Louboutin illusion heels boast a subtle gold that’s still bold enough to help you stand out. 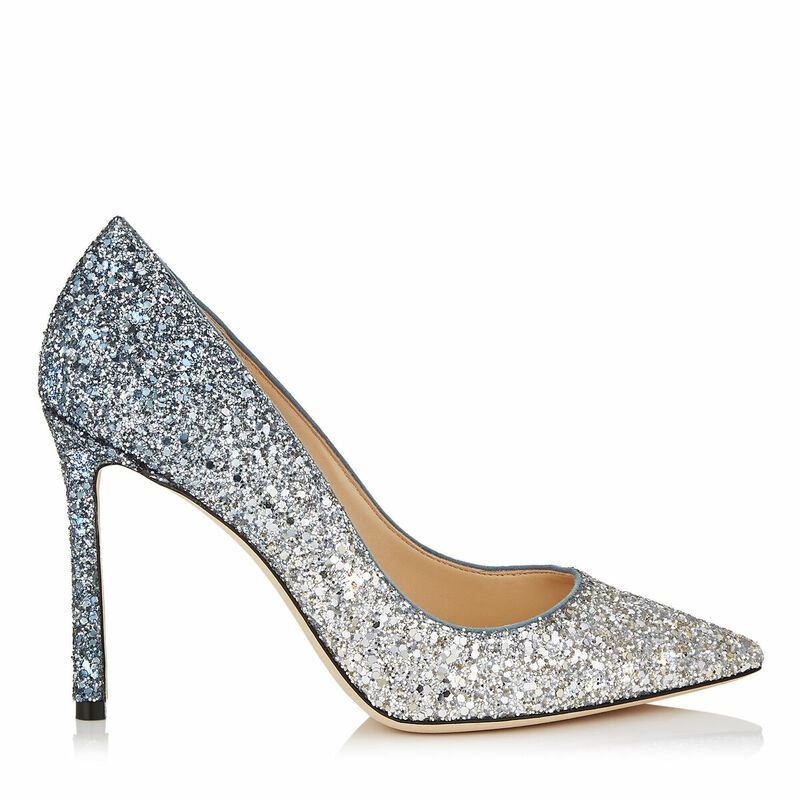 Bold crystals liven up these Calvin Klein slingback shoes. 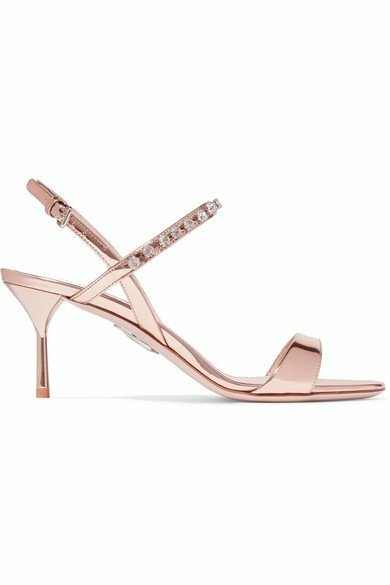 These Miu Miu barely-there sandals — which feature a metallic shine and a row of crystals along the front strap — are known for their comfort thanks to a cushioned footbed. 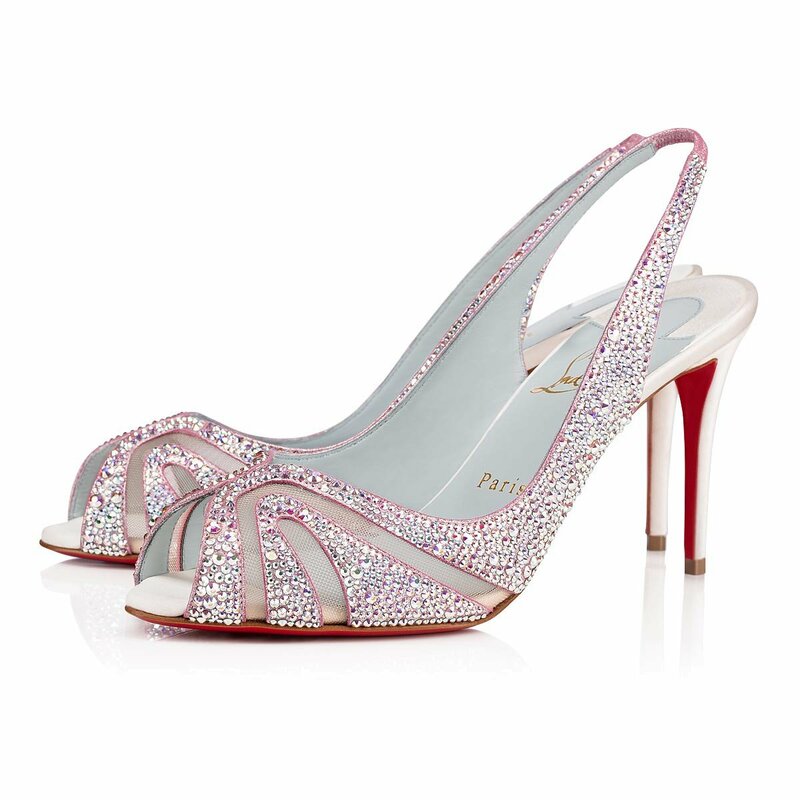 Add some punk to your wedding day look with these Christian Louboutin pumps. These glitter-fleckled stiletto sandals take things to the next level with the leaf detailing. Perhaps if leaves aren’t your thing, butterflies are. Sophia Webster’s signature Chiara sandals, paired with unique laser-cut wings, are truly dreamy. 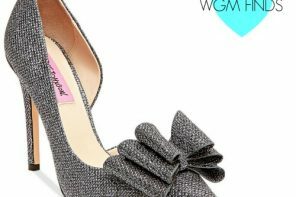 Is it Crazy to Match My Wedding Shoes to My Bridesmaid Dresses?